Nicolas Jaar‘s very first EP, released in 2008, suggested the arrival of a rare talent: it was recorded when he was just 17, for one thing, and its acoustic sounds and unconventional structures were refreshingly unsullied by club music’s business-as-usual habits. Profiling him last fall, Resident Advisor praised the young producer’s “sophisticated,” jazz-influenced vision of dance music, one that he’s gone on to explore across further releases for W+L, his own Clown & Sunset label, and a remix for Ellen Allien. 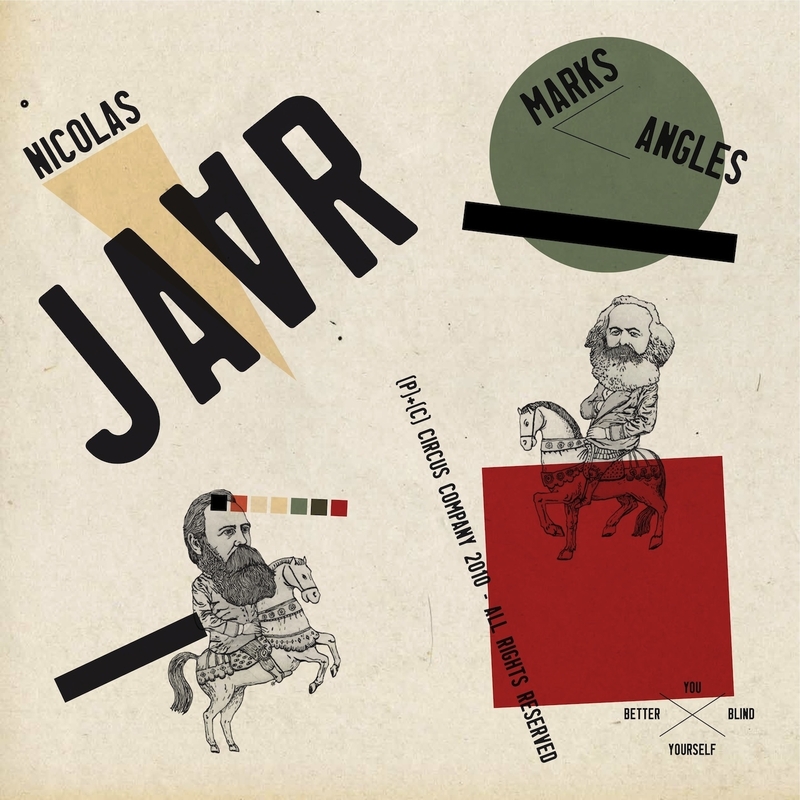 After his contributions to last year’s Snuggle & Slap compilation, Nicolas Jaar’s Marks & Angles EP marks his debut release on Circus Company, as well as another bold step forward for the musician himself. All three tracks are rooted in house music, but Jaar’s rich acoustic textures and elastic timekeeping lead to a far more personal place. They explore strange emotional registers, a commingling of melancholy and joy in a shadowy slow dance. “Marks” is a shuffling, late-night number that’s too idiosyncratic to be reduced to its influences; a dub blues for organ and synthesizer blossoms into a piano’s modal jazz solo, all overlaid with Jaar’s haunted vocals. “Angles” stretches guitar strings like taffy through a forest of finger snaps and slow-motion electro shudder, with a cycling chorus teasing out medieval melodies. “Materials” is quicker of spirit, with a rippling pulse played out on muted jazz drums, shuttling between blocked piano chords and silvery oscillators and weaving an irresistible groove. It’s beautiful, unexpected and absorbing music—and there’s nothing else out there that sounds like it.